Fifteen years ago a young girl by the name of Moonlight Smith went to her best friend Nicky Nowak's house for a sleepover. Moonlight joined the family for breakfast the following morning and was then picked up by her mother. Shortly after, Mr. Nowak went for a walk. He was never seen again. Autumn has arrived on the mountains above Trafalgar, B.C., and the promise of winter is in the air. 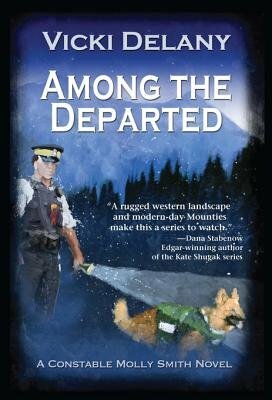 Constable Molly Smith is cuddled by the fireplace with Adam Tocek of the RCMP when Tocek and his dog Norman are called to a wilderness camping ground to join the search for a little boy who snuck away from his family looking for bears. The child is found, dirty, terrified, weeping, but unharmed. Then the inquisitive Norman digs up something else: human bones. The ID isn't positive, but it is enough to have Sergeant John Winters of the Trafalgar City Police pulling old boxes from the basement to re-open the Brian Nowak investigation. He finds a family shattered beyond recognition by the disappearance of their husband and father. Mrs. Nowak is an empty shell of a woman, dressed in pajamas, never leaving the house. Her son Kyle haunts the streets of Trafalgar at night and spends his days creating beautiful, but highly troubling, art. Nicky Nowak lives in Vancouver and has grown up to be gorgeous, charming, elegant. Yet behind that facade lies a woman whose heart has closed so tightly against human relationships she comes to Trafalgar trailing in her wake a terrifying threat to another innocent family. As the investigation into the life and disappearance of Brian Nowak grows, old secrets are brought to light and new ones struggle to remain hidden.